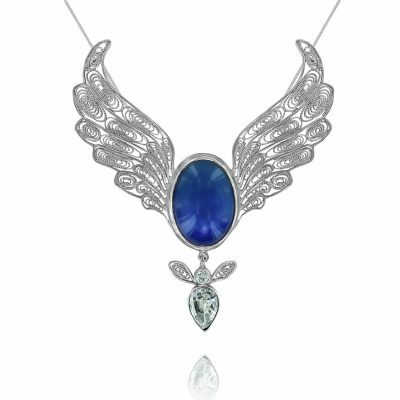 Home / Angel Pendants / Angel Of Focus To Make Your Days More Productive & Efficient. 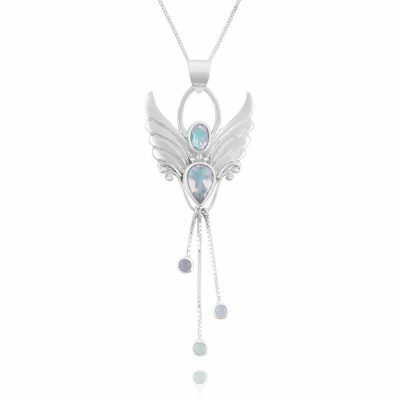 Angel Of Focus To Make Your Days More Productive & Efficient. 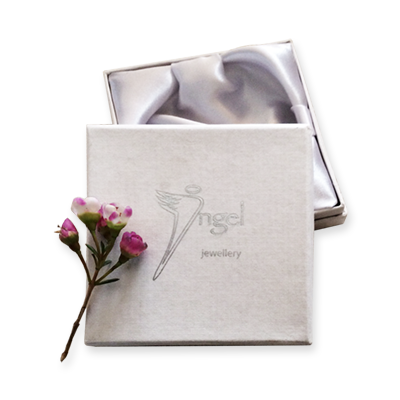 Accomplish goals & enjoy greater productivity with the help of the Angel of Focus. Carrying her beautiful Onyx crystals this Angel assists us with focus, concentration and productivity. 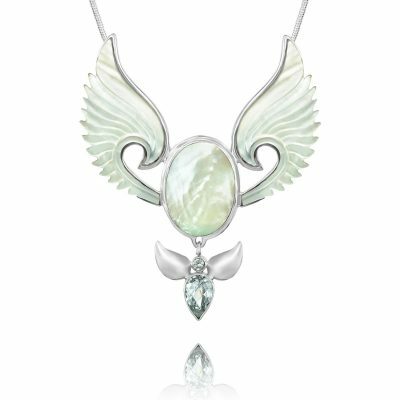 By helping to keep our minds from distraction, this lovely silver angel necklace helps us complete projects and be generally more efficient with our days. 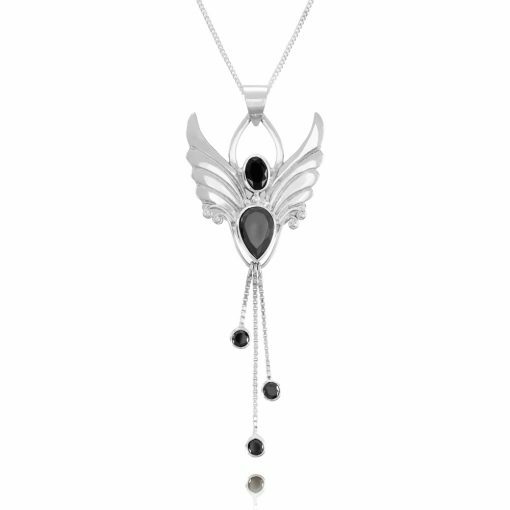 The Onyx Angel is strength giving in times of enormous mental or physical stress. She assists in connecting with a higher guidance, teaches us how to draw upon our own inner strength, vigour and steadfastness, and conveys the invaluable gift of wise decisions.. This Angel can help with past life work, and healing old injuries and physical trauma which may be interfering with our ability to achieve our goals and desires. She helps us to be grounded, encourages focus and stability and relieves worry and fear. 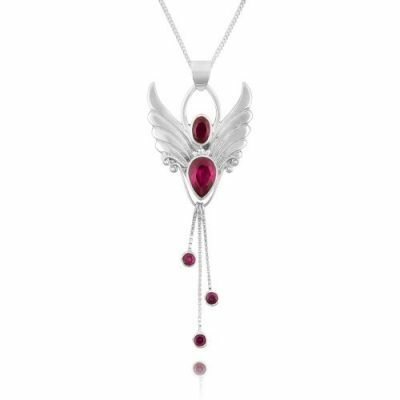 This is the Birthday Angel for those born in July, December and February. Sterling Silver 18″ link chain included in this purchase. 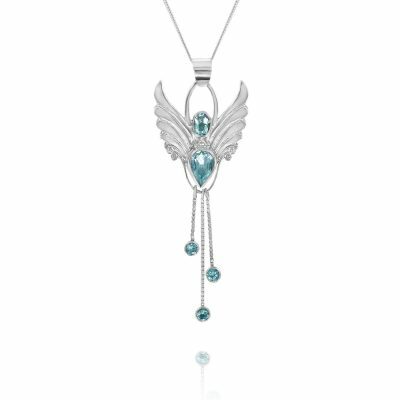 Aquamarine Angel Pendant For Rejuvenation & Connection. 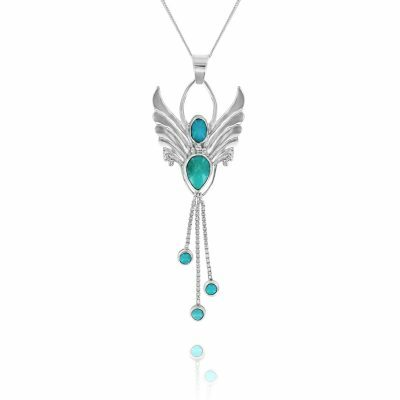 Angel Necklace for New Beginnings.